Steve McCarthy of Clear Creek Distillery in Portland, Oregon is an interesting guy. He’s got lots of stories about his unexpected role as a pioneer in the American craft distillation movement, and he’s clearly passionate about distillation and the products he makes. Clear Creek produces a wide array of fruit brandies (eaux de vies) using local Oregon fruit, including Golden Delicious apples and Bartlett pears from its own orchards. What drew me to a tasting that he recently hosted at K&L in Redwood City was his single malt. Yes, a malted barley American Whiskey made with imported Islay peat. Steve says Oregon Single-Malt is an appellation that he “made up” before Oregon legislature knew what he was up to! Steve buys the malted barley from the maltings at Port Ellen, a Diageo facility, as does just about every other distillery on Islay. That means he’s distilling with the same malt that goes into Lagavulin, Laphroaig, and others. Widmer Brothers, a Portland microbrewery, makes his wash, and he distills it on his tiny German eau-de-vie copper stills. The distillate goes into large 400-liter barrels made from air-dried Oregon white ‘scrub’ oak. The first year is spent in old, oft-reused barrels. It is then racked into slightly newer barrels for the second year, and then spends the final year in brand-new oak. It’s not quite a solera process, but it does the job: oaky, but not too woody. It’s bottled at 46% ABV. Nose: Meaty and full of peat – a blast of it, in fact. A campfire of burning pine needles, with an interesting depth of nuances. No iodine or fishiness, just sappy, resiny peat, mild oak, and an undercurrent of mildly sweet barley. Smells like an 8 or 10 year-old Caol Ila or Bowmore, with a little more ppm. Palate: Soft and warming. Lots of nice malty sugar. Rice candy. Peat is not intense, and the smoothness on the palate belies its youth. Tastes well-crafted. Finish: Pine and peat pervade, but the youth shows with evaporating raw alcohol and a vein of oaky bitterness. Lingers like most Islays. Overall: Amazing that a three year-old whisky distilled on a tiny brandy still in Oregon can smell and taste like an 8 or 10 year-old Islay single malt scotch. Sure, the imported barley has a lot to do with that, but Steve McCarthy’s attention to detail, careful (and economical) use of oak, and small slowly-running stills all come through in the product, which somehow tastes handcrafted. I could wish it had a few more years in barrel to smooth out the wrinkles and improve that finish, but this is clearly an excellent product from a master distillery. You are still paying the ‘craft’ premium here: $50 is a lot for three years of aging, but if you’re looking to see what the ‘craft’ revolution is all about, this is a great place to start. A word on craft pricing: These are slightly murky waters. Does it make sense to pay more for one company’s product simply because the nature of that company’s business model makes their whiskey more expensive to produce? Where’s the balance between pricing driven by costs-and-margins and pricing driven by competition? I was (and still am) skeptical about paying new Islay distillery Kilchoman’s prices for what was essentially really tasty new-make. 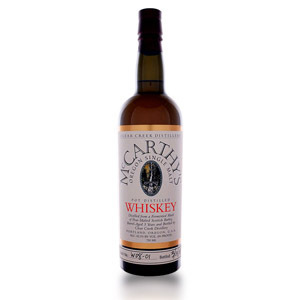 McCarthy’s, similarly, is produced slowly in small quantities to exacting standards. It uses imported barley (not cheap), contracted wash (not cheap), custom-made barrels (not cheap), and is necessarily a niche product that cannot achieve efficiency via economies of scale in either production or distribution. Here’s the rub: it has to taste better than the factory-produced, lower-priced competition. If I make one bottle a day of hand-crafted dragonfruit eau-de-vie on a solid gold 20-gallon pot still and age it in 5-liter barrels made from solid mahogany… I shouldn’t expect to make up my costs by charging $2000 a bottle unless it tastes like $2000 a bottle. McCarthy’s, at least, tastes worth it. For all those other craft distillates out there – I say they have to pass the same test. Fascinating discussion on the value equation with expensive small run craft whiskies. I’m a bit more lenient than you are, and am willing to pay for curiosity and potential. I have picked up and considered this particular example – McCarthy’s – but was in doubt given the high price and young age. Your review helps settle the matter. Thanks! I think a large part of it is also how they make the cuts. Whiskies that are meant to be aged for a long time can dip into the heads and tails, because the compounds found in those parts of the run, which would be moderately disgusting in the new make, are transformed by oxidation and interactions with the barrels into interesting esters and other flavor compounds. When you’re making something that’s only going to age for a few years, you have to make much smaller cuts to keep out the lighter and heavier compounds, going just for the heart of the run. That makes for a more enjoyable product straight off the still, but it also means that you’re losing discarding more of the material going through the still. As far as price goes, right now it seems to be a purely market-driven thing. They’ve been putting out this whisky for years without any drop in demand, so clearly there are people willing to pay that much for a young whisky. I’ve talked to Steve and his wife at events here in Portland and they say that they’d like to age it for longer, but their production runs are so small that they couldn’t keep up with demand that way. Maybe things will change in time, but we’ll have to wait and see. Good point, Jordan. I know Steve takes a very large tails cut, and tosses it back into the next wash (which is a very common practice). That’s definitely got to add to his costs, especially for such small distillation runs. Steve mentioned that he might be able to set aside a barrel for extra aging next year, since he gets a lot of requests for it. But, as you said, he can easily sell everything that makes it to 3 years old. He also said he was hoping to do a bottling that used Oregon barley and Oregon coastal peat. Wow – I can’t wait! So you’re still unconvinced that Kilchoman is worth the money? I haven’t had the new Machir Bay, which David at K&L is raving about. I like its price point a lot better than their earlier releases, but it’s really only four year-old whisky (there’s only 5% or 10% of the new five-year in it). I’ll reserve judgement until I get to try it. I recently vacationed in Scotland and brought back a bottle of Machir Bay. 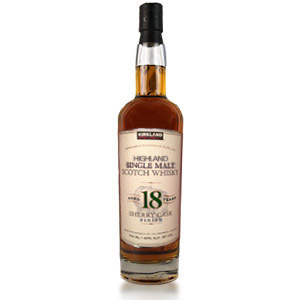 Being relatively new to the world of single malt Scotch, I had never heard of Kilchoman, but some other vacationing Americans who had just been to the distillery told me that if I liked peat, I had to get a bottle. At the time, it wasn’t available in the US (although I still haven’t seen it in SoCal). I opened the bottle last week, and I love it. To me, it seems like the perfect peated whisky for the summer. I think you really ought to give them a chance. Also, this whiskey sounds fantastic, and I will be purchasing a bottle when my own stores are more depleted (and my wife deems it okay for me to start purchasing again). Don’t mean to refute your posting and I’ve never before debated the quality of a whiskey before, but on this one particular instance I almost feel an obligation to speak up. Perhaps I had a bad batch, but this was undoubtedly the worst whisk(e)y I’ve ever tasted. Weak, flat, no complexity whatsoever and left the worst plastic taste in my mouth. It was like I had eaten the linoleum tile from my mom’s kitchen floor from the 70’s. Almost insulting to be asking $55 for this when you could get a Laphroaig quarter cask or Bruichladdich 10 for the same price or cheaper. If you want to stick with American, drink the Evan Williams single barrel for half the price. Very interesting! I’m guessing it’s very possible that you got a bad bottle, or that I got a good one. Hard to say! The quality of the malt may also have improved significantly between the batch you had and the one I tasted. Unfortunately, there’s no way to know if your experience or mine was more representative of the quality of this whisky. Thanks for giving your opinion – I value the tasting notes of my readers, *especially* when they disagree with mine. Cheers! I have to agree. This is not good stuff, unless it was good stuff before someone decided to wash some car parts with it. Just bought this for the first time – didn’t actually check the label and didn’t realize it was three years old! The first sip… wonderful, and we immediately thought of Islay. It’s closer to Lagavulin than anything else. Maybe if Lagavulin made Diet 21 Year. No, this McCarthy’s isn’t perfect, but its really, really good. Smooooooooooth. This stuff is great! In my entry level days, I tasted this side by side with Lagavulin and couldn’t really tell a difference. Obviously my taste buds have matured considerably since then, but at $30 a bottle in Kansas City, it’s the best bang-for-your-buck out there, unless you can get Laphroaig for under $40. Just a bit of info here. Clear Creek Distillery has been purchased by Hood River Distillery. I don’t expect their product line to change much, but HRD doesn’t distill any of their products prior to this. They’re regarded as a rectifying and bottling company. First ever review input… I only came across this site because I was looking to buy more; a friend who went to Oregon brought a bottle for me and I loved it. Like mentioned before it is VERY close to Lagavulin 16 IMO. I am still keeping the empty bottle to remind me to find more of it. My pallet is in love with Lagavulin… Laphroaig 10 is too much ( I never thought there is such a thing until I had it). My batch # is W15-02 bottled Sept 14, 2015. I’m going to sell my 99% full bottle of W15-02 to a friend who likes it. I’m not a fan. To each his own. I am co-founder of the Gilmer Scotch Whisky Society. We are in our 6th year and at our Christmas party (2016), an almost empty bottle of McCarthy’s single malt was left, amony dozens of others, on the extra’s table. I gave it a go, believing it was a Scotch and Wow! what a surprise. Smooth, mellow, smoky and delicious. To m further surprise, it was made in oregon, USA. Unfortunately, the bottle went the way of all empties and I did’t record the production data on the label. Neither of my local packages stores carries the it. I give it a thumbs up as comperable to most of the lighter Islay products. 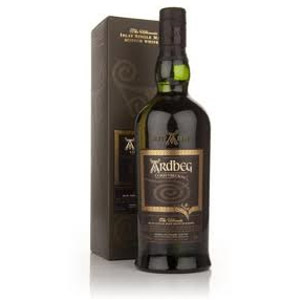 Abelour and Ardbeg are my favorites. I call this ‘Oregon Scotch’, because it really might as well be a grade-A Islay single malt. 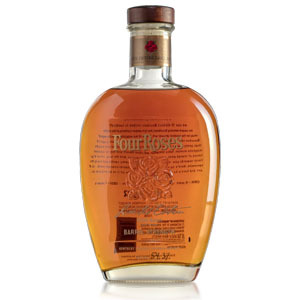 It’s the best American whisky I’ve ever tasted, and absolutely worth the price. That said, I have had a ‘bad’ bottle from this run before, I think 2014? Distinctly weak, flat and tasteless. The 2015 bottle sitting at my desk, however, is excellent.